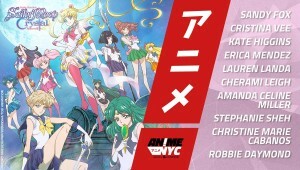 Anime NYC will include Sailor Moon Day on November 18th! Next weekend, November 17th to the 19th, is Anime NYC in at the Javits Center in Manhattan. This event will include an entire day dedicated to Sailor Moon on Sailor Moon Day November 18th! Attending will be the English cast of Viz’s new dub of Sailor Moon and Sailor Moon Crystal. This includes Stephanie Sheh, Sailor Moon, Kate Higgins, Sailor Mercury, Cristina Vee, Sailor Mars, Amanda Celine Miller, Sailor Jupiter, Cherami Leigh, Sailor Venus, Sandy Fox, Chibiusa, Erica Mendez, Sailor Uranus, Lauren Landa, Sailor Neptune, Christine Marie Cabanos, Sailor Saturn, Robbie Daymond, Tuxedo Mask, and Chris Niosi, Pegasus. Viz Media will also be in attendance. This convention is sponsored by many leading companies in North American anime including many who are associated with Sailor Moon, so it seems likely that they will also be involved with the event. Sponsors include Crunchyroll, who stream Sailor Moon Crystal, Viz Media, who licenses and releases Sailor Moon in North America, Kodansha Comics, who are releasing the English Sailor Moon Manga, and Tokyo Otaku Mode, who run the Official Sailor Moon Fan Club. 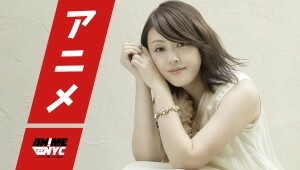 Also attending as a musical guest is Yoko Ishida who performed a number of songs for the original Sailor Moon anime! She sang Otome No Policy (Maiden’s Policy), the ending theme for Sailor Moon R, Ai No Senshi (Guardian of Love), and Suki to Itte (Say You Love Me). Are any of you planning to attend this convention? Unfortunately at this point Saturday and weekend tickets are already sold out. Friday and Sunday tickets are still available but those attendees will be missing Sailor Moon Day.